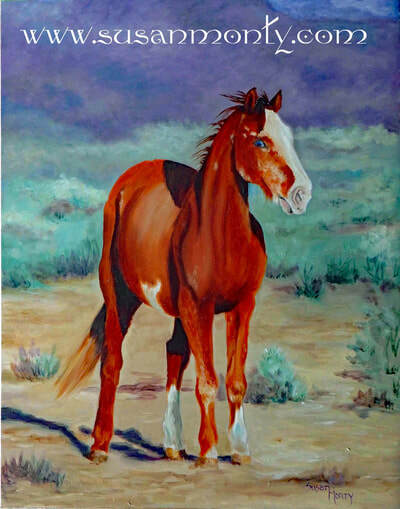 Our wild horses and burros, symbols of American freedom, are under siege, their very existence threatened. They are being systematically rounded up and removed from their rightful lands to make room for cattle and mining interests. 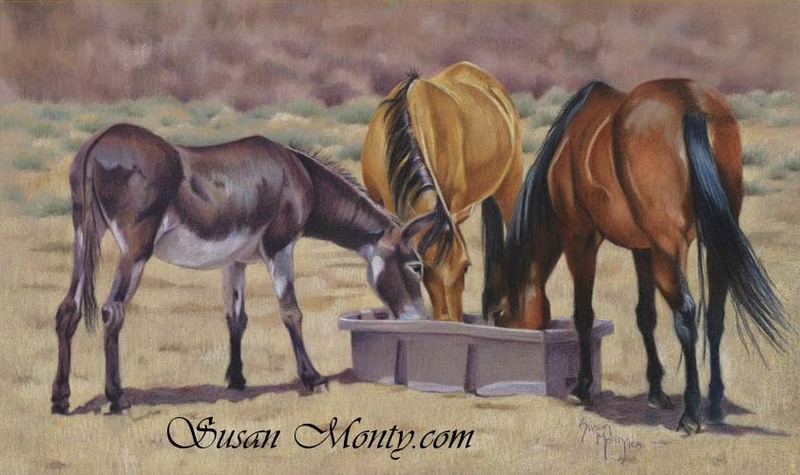 Currently, there are more horses in government holding pens than are left in the wild. 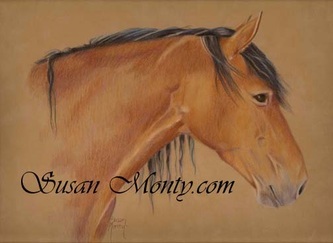 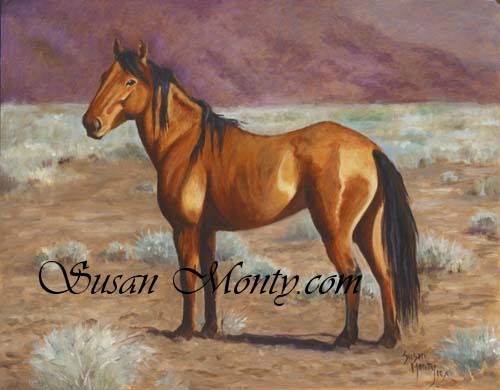 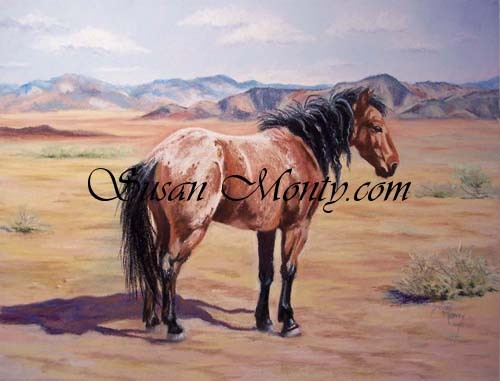 I have always loved wild horses, and I have been lucky enough to have an endless supply of reference photos from mustang rescues and wild horse photographers. 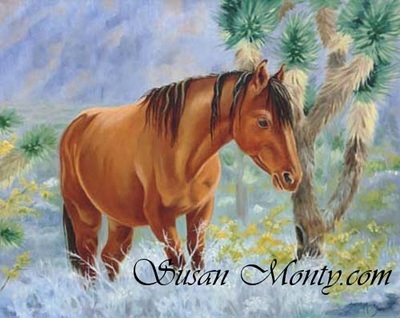 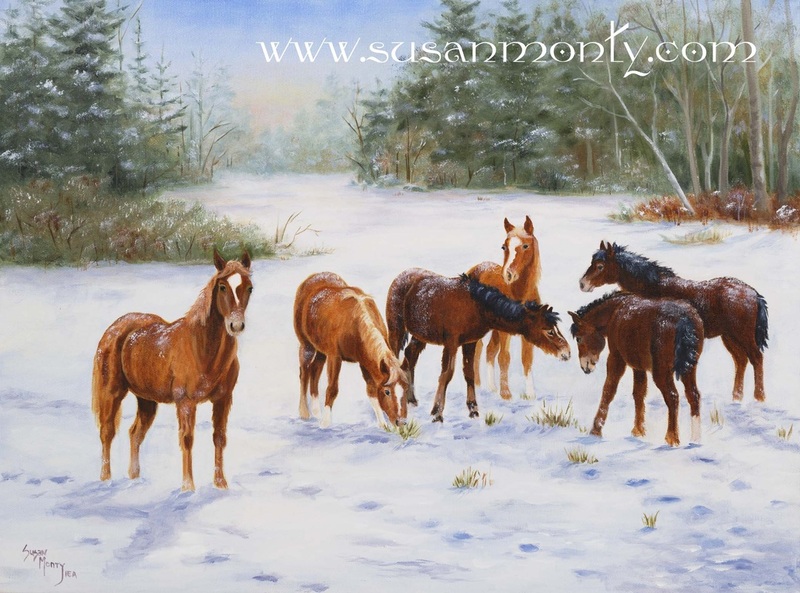 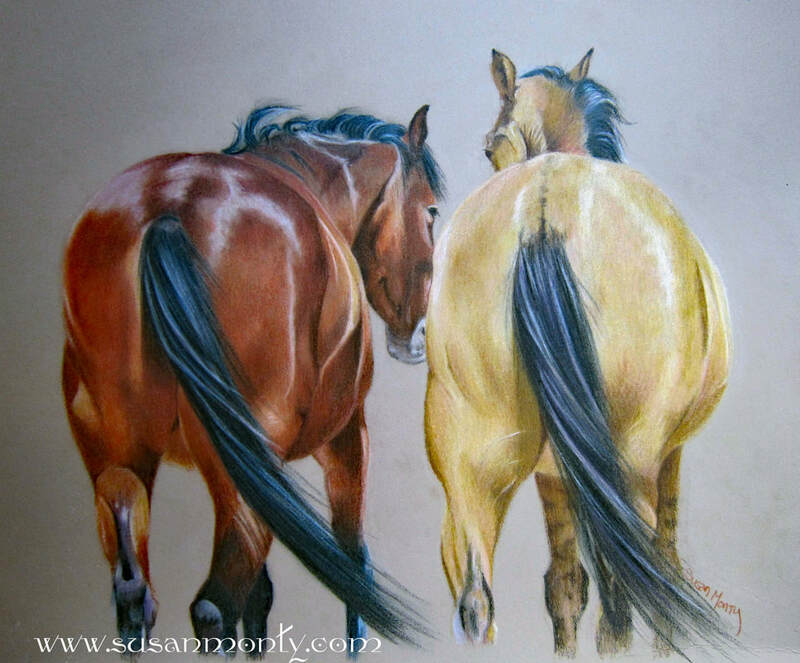 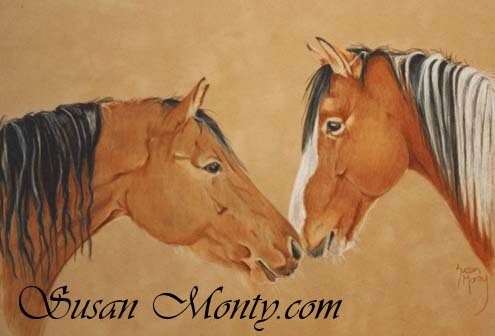 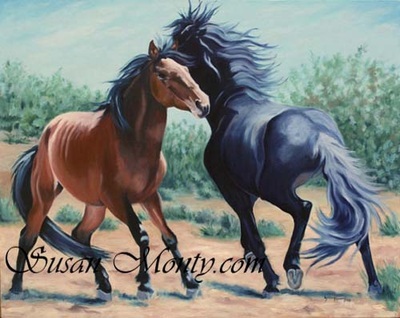 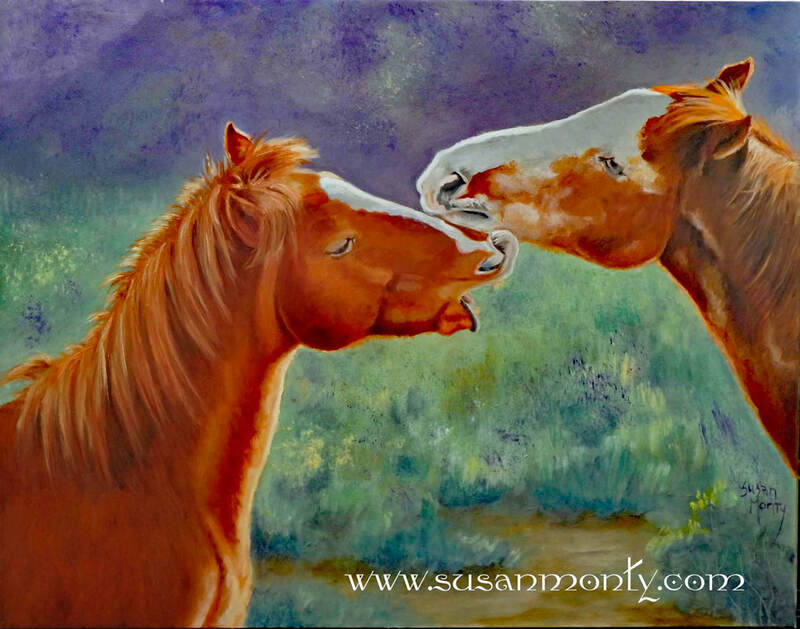 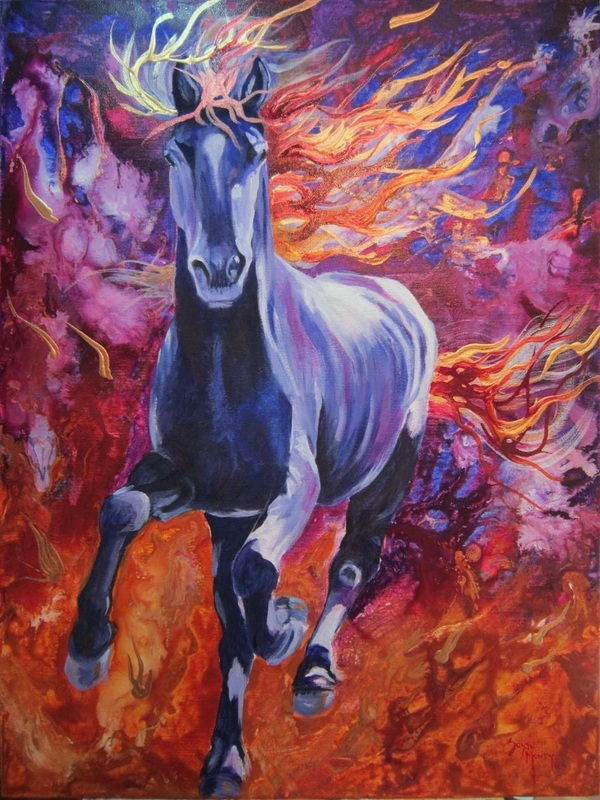 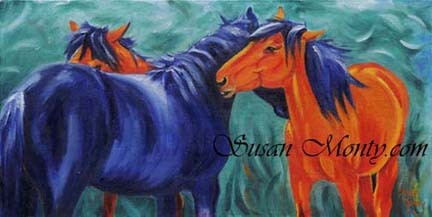 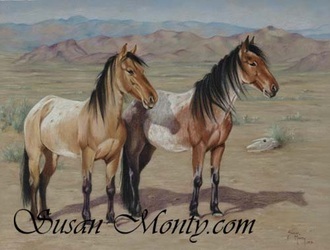 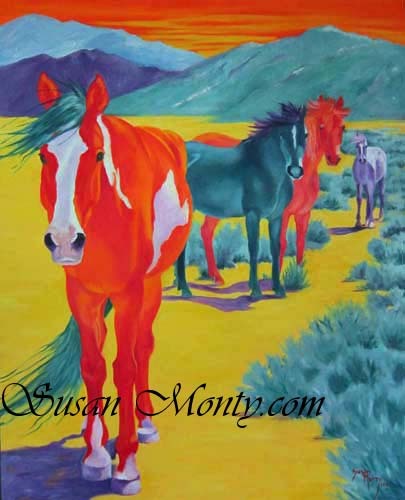 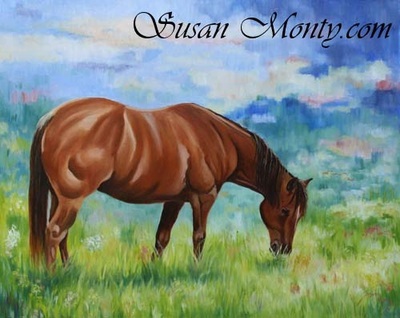 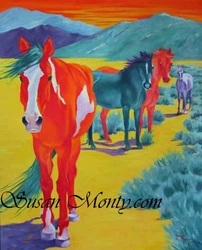 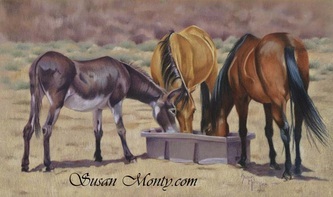 Below are a selection of my paintings honoring these beautiful animals.